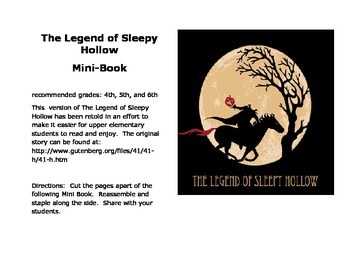 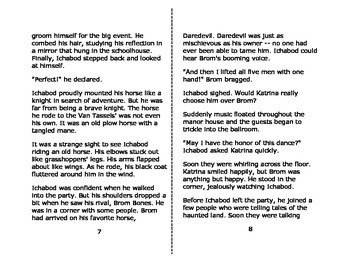 This is a retelling of Washington Irving's story, "The Legend of Sleepy Hollow" written at a level that upper elementary students can read and enjoy. 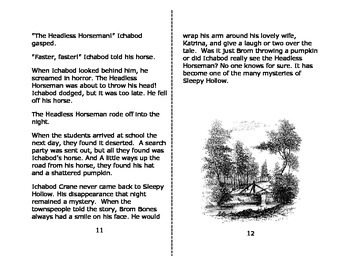 Just print out the booklet, cut along the dotted lines, and staple the pages together to prepare the books. 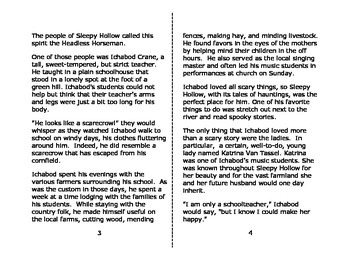 Then, read and enjoy with your students.